When the Truth played his last game against the Utah Jazz last week, quite a few of you let us know you'd like us to do something special to remember Paul Pierce's career. Looking around the league, and seeing an underwhelming response to such a huge figure exiting the stage - especially in the Celtics blog-o-sphere - we have to agree. Paul was not only an integral part of Boston's storied history, but a first-ballot Hall-of-Famer who has yet to get the reception his exit deserves. Now of course, we know part of it is that we are all neck-deep in the playoffs, with the Celts trying to advance to the third round for the first time since he was on the roster, and that he'll probably see his fair share of fanfare this summer with a jersey retirement ceremony, BUT - Pierce needs some love NOW, and we aim to do just that - with your help. In our last pod, we touched on Paul's retirement, and Topher Lane and Mark Allison offered up their personal favorite moments from the Truth's career, but that simply isn't enough. We want to hear from YOU, the CelticsLife readers, about YOUR favorite moments, craziest plays, most intriguing rumors, outlandish stories, personal encounters with, and general thoughts about #34 Paul Pierce. We want funky stats, strange coincidences, anecdotes, opinions, even memes, videos, interviews, articles, jokes, trash talk stories - whatever you got! We'll credit you for whatever you submit, so if you want to be internet famous (or, if you already are, internet famous-er), make sure to leave us something juicy in the comments below or on Twitter. We'll debut the results in a little less than a week, just to give you some time to assemble your thoughts and track down links, memes, and videos. We'll put stuff that doesn't translate to audio-only into the pod's article, so pretty much any medium that is audio- or webpage-friendly is encouraged. So, let us know how you really feel about the Truth - we'll put it all together and have one last hurrah for Paul-the-active-NBA-player on CelticsLife - it's the least we can do, for him, for you, for us. 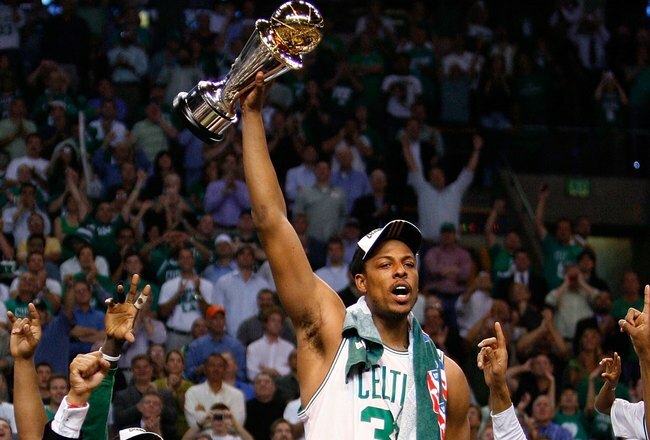 For more articles on CelticsLife about Paul Pierce, click here. For more by Justin, click here.